I seriously doubt he personally expects to win the nomination. And at the end of the day, what Sanders will want more than anything else is to convince the eventual nominee, and especially the eventual nominee's voters, to adopt some of Sanders's positions. The following is a re-post of an article I published back in September. It seems appropriate this week given Sen. Bernie Sanders&apos; (I-VT) announcement on Thursday. Apologies if you&apos;ve heard this one before. 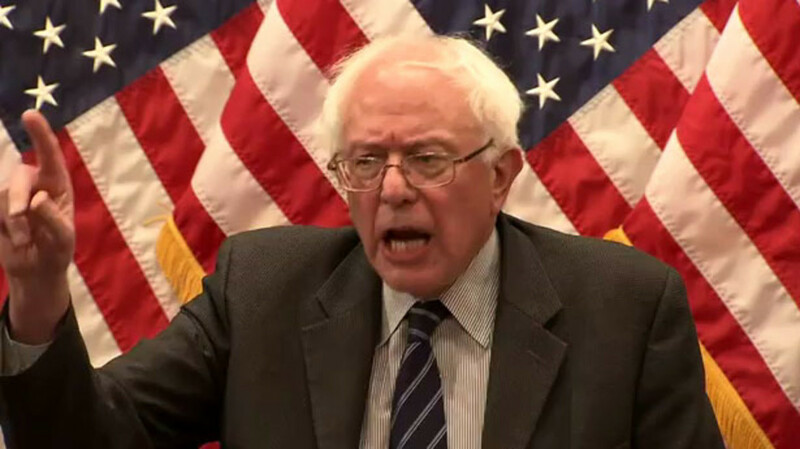 Sen. Bernie Sanders (I-VT) dials the customer service number for his cell provider. An automated voice on the other end says, "Press one for English and two for Spanish. Para Espanol, oprime el dos." 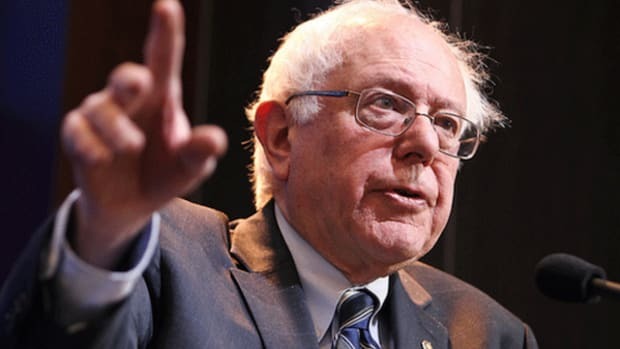 Sanders replies, "Fine, but first let me tell you about the middle class..."
No other senator of either party is quite as good as Sanders when it comes to pivoting to his agenda, and there&apos;s ultimately a lot of positive aspects of Sanders&apos;s agenda. Middle class, middle class, middle class. He&apos;s a decent senator and remains tremendously popular in his state and among the broader far-left. But don&apos;t count on him winning the Democratic nomination in 2016. He has even less of a chance at winning the presidency in a national election. There&apos;s no real way to objectively quantify the reasons why, but being a self-identified socialist is a big one. He&apos;s just not really presidential material and he&apos;s not mainstream enough to win nationally. Plus, even though he caucuses with the Democrats, he&apos;s spent his entire Senate career as an independent. The party cares about things like that, and tends to reward loyalty -- not fair-weather friends who only climb aboard when it&apos;s convenient. 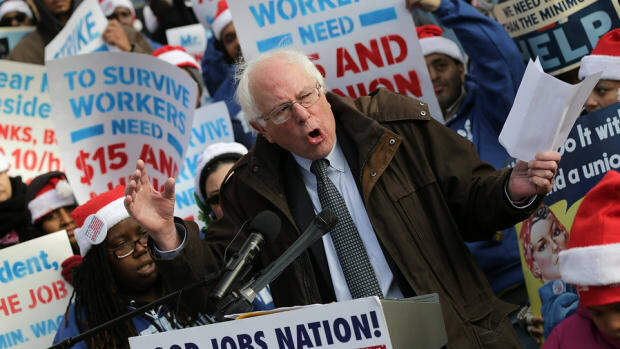 Sanders plans to run anyway but supporters would be well-served to keep their hopes for victory firmly planted in the reality of presidential politics. 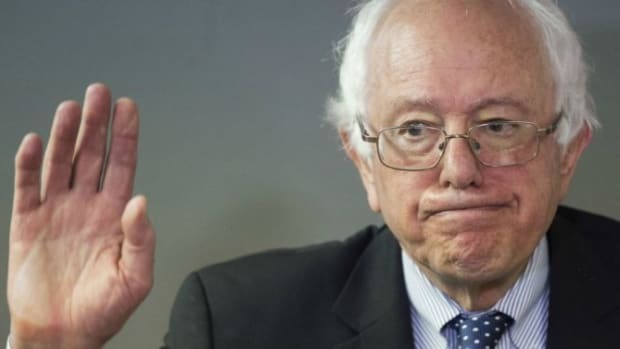 Candidates like Sanders, or guys like Mike Gravel or Dennis Kucinich, always say they&apos;re running to win, but it&apos;s never actually true. It&apos;s all about getting the message out. 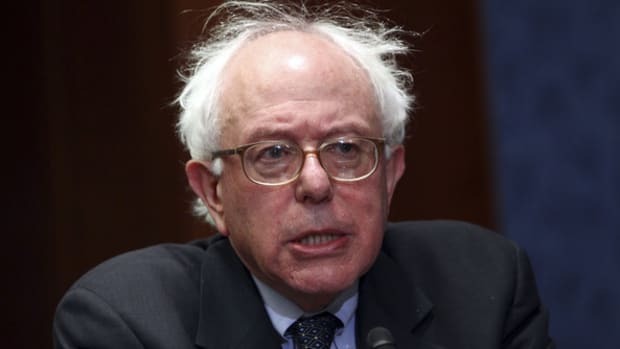 Bernie Sanders will run almost exclusively for those moments during the debates when he&apos;ll be able to pivot the conversation from anything else to middle class, middle class, middle class. He also won&apos;t mind having "presidential candidate" on his list of accomplishments. He is, after all, a politician who will eventually want to collect some decent speaking fees. But there will surely be far-left true-believers who will refuse to understand that Sanders&apos;s candidacy isn&apos;t about actually winning the nomination. 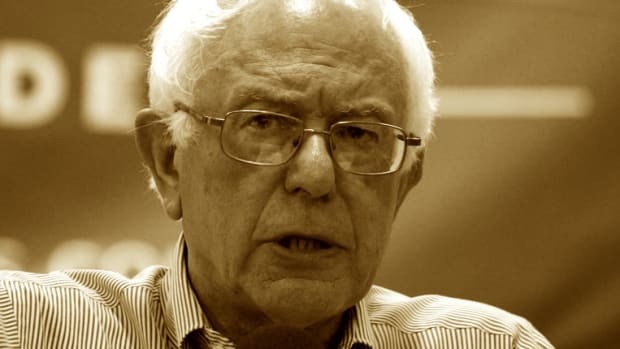 You can safely wager on the fact that too many Sanders people, especially on social media, will use the campaign to shame Clinton people or Biden people (or fill-in-the-blank) for being centrist shills or corporatists or even war-hawks. And those people will entirely miss the point. Oh, and in the off-chance he simply runs in the general as an independent, he&apos;ll absolutely lose and lose badly. The electoral college discourages third party challengers, and there&apos;s not enough independent money to win nationally. Sorry, folks. That said, there is a very slight chance that he could run a third party effort anyway. And if he&apos;s able to pull off a Ralph Nader-style Election 2000 campaign, be prepared for hell because it goes without saying he&apos;d siphon off votes from the Democratic ticket. 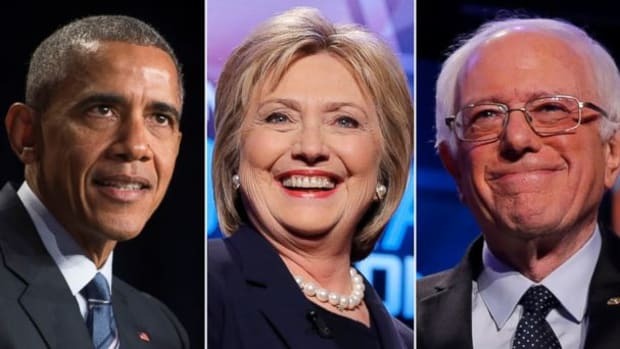 Such an eventuality would force the gloves to come off among Democrats, loudly enough to make the Obama-vs-Clinton primary fracas seem friendly and quaint by comparison. 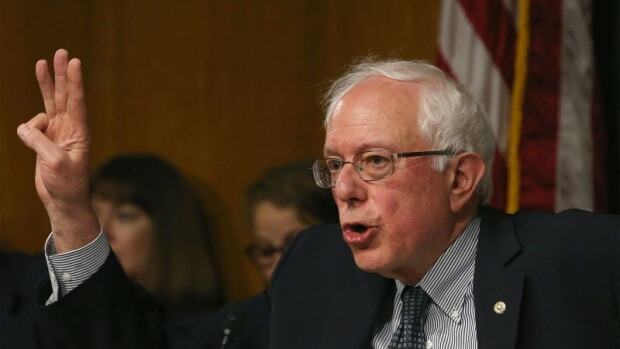 If Sanders wants to merely get his message out, that&apos;s not the way to do it. Indeed it would only do one thing: help the Republicans. I seriously doubt he personally expects to win the nomination. And at the end of the day, what Sanders will want more than anything else is to convince the eventual nominee, and especially the eventual nominee&apos;s voters, to adopt some of Sanders&apos;s positions. It won&apos;t happen, however, if Sanders&apos;s most vocal supporters waste their time hectoring anyone who tweets something positive about Clinton or whomever else. The only way the message will osmotically work its way into the frontrunner&apos;s platform is to simply convince the frontrunner&apos;s people that "middle class, middle class, middle class," as well as other Sanders positions, are winning planks against the Republicans. It&apos;s not a difficult ask, either, since more than a few of Sanders&apos;s ideas aren&apos;t too far outside the mainstream of Democratic politics.